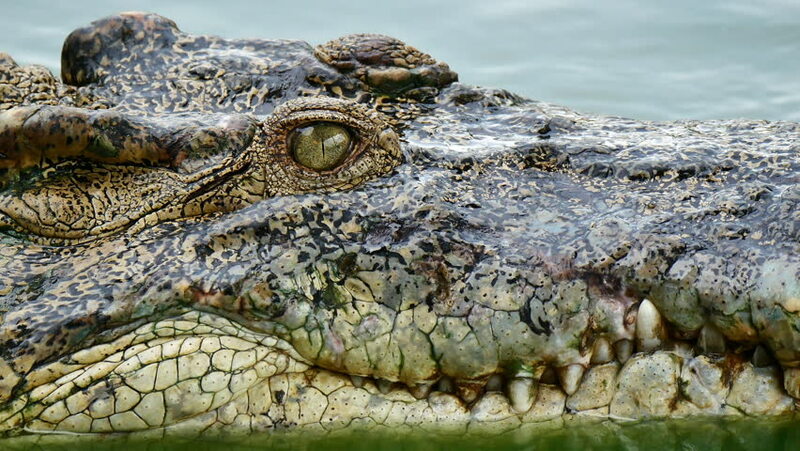 Close up freshwater crocodile in green lake. 4k00:09Eyes of Saltwater crocodile (Crocodilus porosus) in nature. Half submerged in water.